“If I’m honest, it’s not exactly what I wanted to do, but at the end of the day I have to do the thing that feels like I’m giving people something real. That’s what this was,” said Shadrach Kabango, a rapper known as Shad. He just released A Short Story About A War, his first album since taking five years off of music to host CBC’s flagship arts interview show, Q, then Hip-Hop Evolution, a Netflix docuseries produced by Russell Peters about the growth of today’s most popular genre. A Short Story About A War is a concept album that was birthed from a poem Shad wrote about societal inequality. It’s a war metaphor in which snipers represent merciless capitalists, stone-throwers are everyday people, and the central character, the fool, doesn’t believe in the power of bullets. The violence in war stands for social inequality. “What do our governments and corporations do, here and abroad? Violence, really,” Shad said. The album was inspired by his time in Vancouver, where he got a master’s degree in liberal studies from Simon Fraser University. The city has the highest percentage of low-income households in Canada, while the average rent for a two-bedroom apartment is the highest in the country, rising above $3,000, about $1,000 more than Toronto, the next highest city. “That’s where that story came from. My subconscious mind trying to grapple with what does it mean to live well in a place like this,” Shad said. The album presents a bleak depiction of this war, concluding that fear is at the heart of the conflict. The main character defies this conflict. “There’s many different ways to participate in the violence and the tension that you’re feeling. And there’s an alternative, but it’s very difficult; this fool character,” Shad said. The fool comes to realize that violence stems from fear, and although the album is at times dark, this character leads the listener to look within themselves to find hope. It is a sprawling message packed tightly into a metaphor that is the perfect backbone to A Short Story About A War. On Friday night, Shad put on a show that was exuberant as often as it was somber and reflective, mixing his new, heavy cuts with the material that got him to where he is. Thoughtful, slick and technically sharp rap that is all too often given the dreaded, trite label of “conscious.” “The bigger part of me loves entertaining people, loves giving people a certain style that they’ve come to know and enjoy with my music,” Shad said. That was certainly apparent when he brought freestyles, call-and-response and quick banter to Le Ministère. 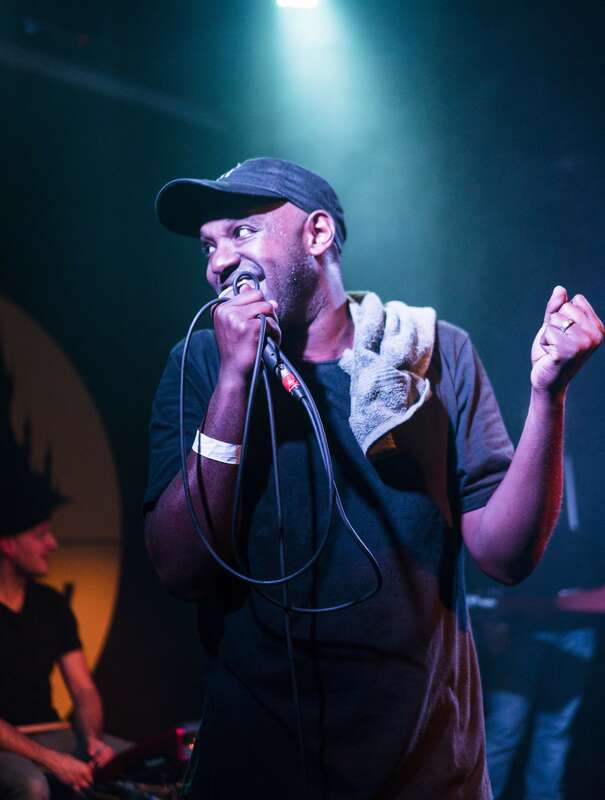 Shad has won a number of awards including an Emmy and a Peabody Award for Hip-Hop Evolution, and snatched the 2011 Juno for Rap Recording of the Year from none other than Drake. As decorated as he is, Shad values consistency over any specific prize, particularly after his 2013 album, the last before his five-year break. “When I finished Flying Colours and that album was well received, for some reason that was significant to me. Because it felt like I wasn’t a fluke,” he said. With A Short Story About A War, he handles complex topics with succinct clarity, all while delivering top-shelf punchlines and metaphors inside of five-star flows. Shad is certainly not a fluke.